Have we gotten a chance to discuss my affinity for all things Italian? No? Ah, let me count the ways. 5. Oh yeah, I got engaged in Italy. In a vineyard. Yup, my husband is the best. 6. When we got married and I contemplated the pros and cons of changing my last name (and after the husband nixed my suggestion that he take my last name,) I very seriously suggested that we make up a new Italian last name and both adopt it. How could would that be?! I also love all things pasta. Unfortunately, my waistline does not love my fondness for pasta, but you will come to see that we eat past a couple of nights per week. Last week, when I was on my cooking frenzy, I decided to defrost the ground turkey that had been sitting in the freezer for a few days. One of our less lofty goals is to empty out the freezer a bit (I haven’t told my husband, but this is my new inspiration for freezer emptying.) We’ve been eating quite a few burgers this summer–nothing wrong with a good burger!–and it was too hot for meatloaf, so I decided to do something different with the ground meat. 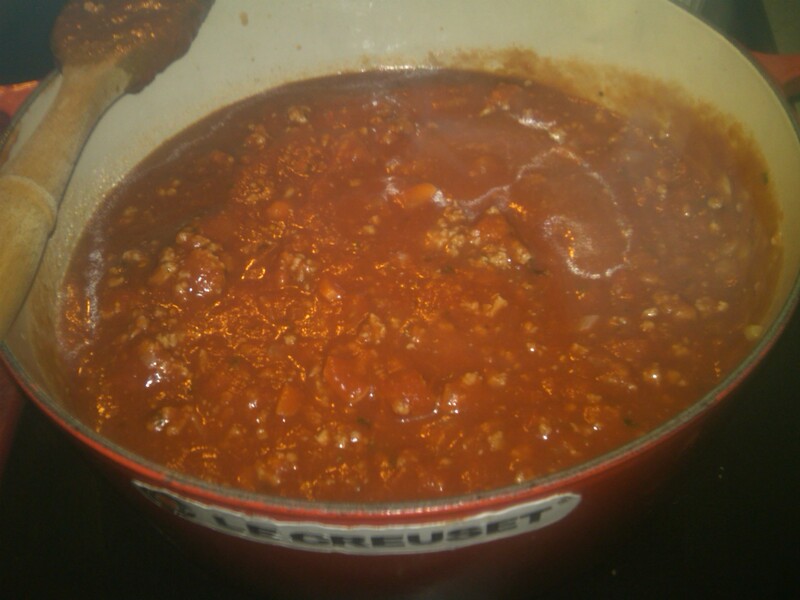 Although it’s a bit off season, my husband and I love a good bolognese, so I thought I’d whip one up. And, if all else failed, I could freeze it for a later meal. Ah, the irony. 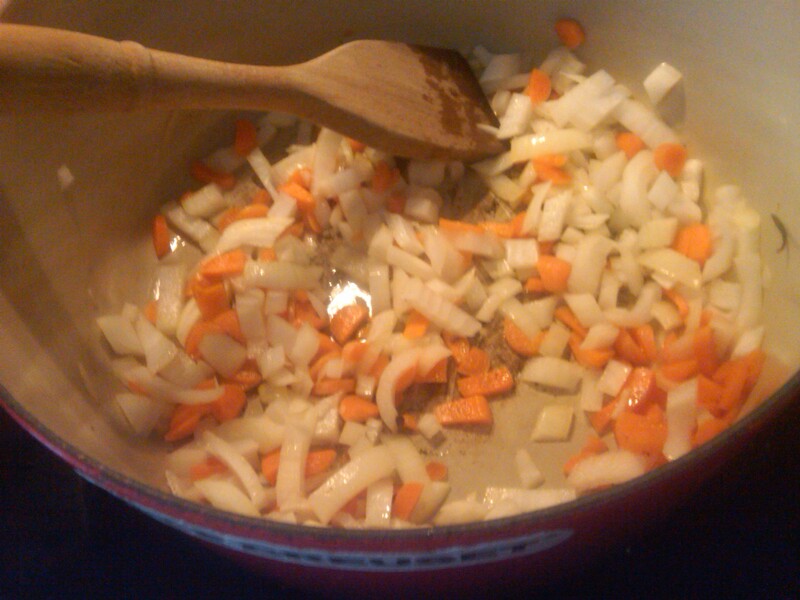 I started by sauteeing the carrots and onions in olive oil until they started to soften, about 2-3 minutes. 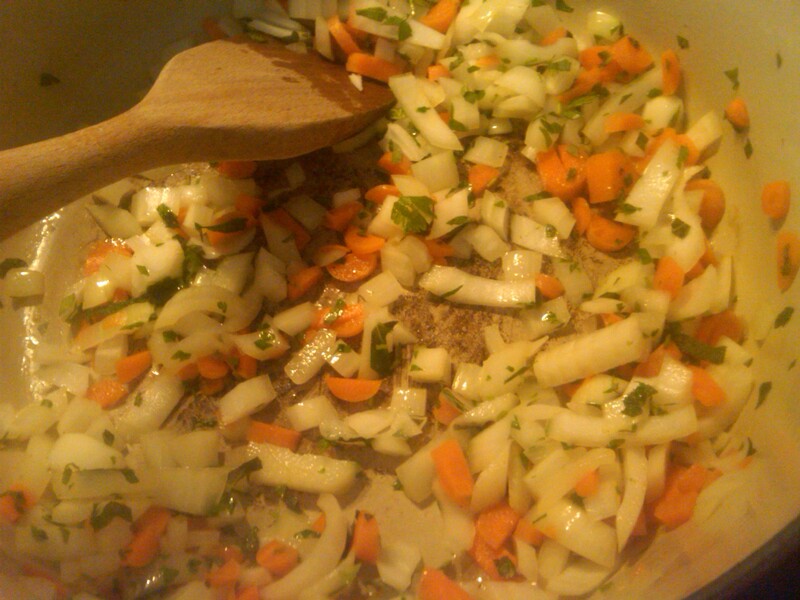 Then I added the fresh herbs. When cooking most things, it’s best to add fresh herbs closer to the end. However, when using more robust herbs, I find it’s ok to add them in the beginning. I added chopped parsley, oregano, thyme and sage. I probably would have tossed a bay leaf in there if I had thought about it. 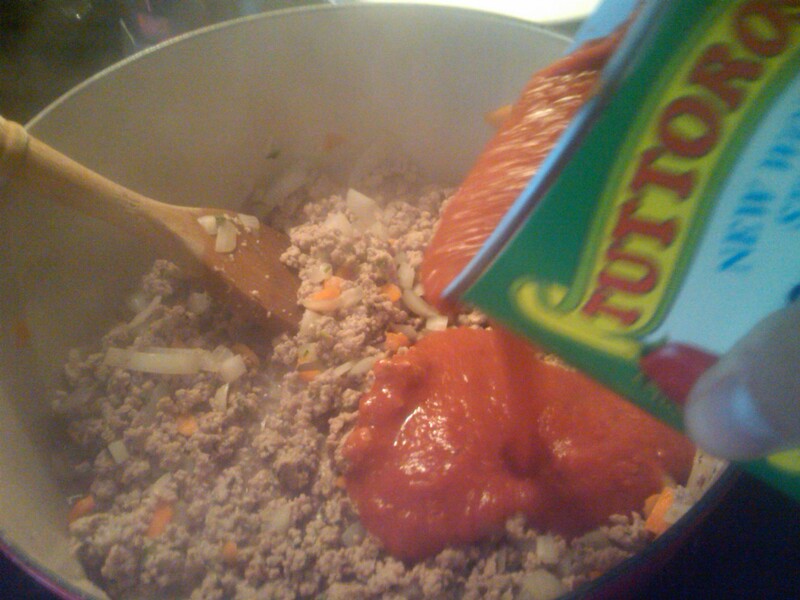 I would have also added a tablespoon or two of tomato paste if I had some. Instead, I added the turkey meat and began to brown it. I only browned it for a few minutes until I couldn’t see any more pink (it’s important to cook turkey all the way through, but this was going to simmer for a while.) I then tossed the red wine in and let the alcohol cook off. After a minute or so, I added the crushed tomatoes. I know, I know, I’m using canned tomatoes in the middle of the summer. I haven’t gotten to the point where I feel comfortable doing the whole tomato peeling and seeding thang so I use canned tomatoes sometimes. I’m ok with this part of my life. I also get a good deal on them at BJ’s, so there. After mixing thoroughly, I turned the stove down to simmer away for the rest of the day. When my husband came home from work, he was greeted with the very Italian scent of tomatoes on the stove–a smell that often makes it way up and down the streets of South Philadelphia. I fit right in. thats a pretty le creuset you got there 🙂 ill sure have to try this one soon… i think im getting paste tomatoes in the farm share this week- maybe thats what we will do!